Omegatech Friction Weld Strapping Tools provide a professional and high-quality service to every single business they’re implemented in. The simple operation, compact design and high-quality technology ensures their suitability to a range of different work environments. Here at Kingfisher Packaging, we have created a number of in-depth and informative videos to clearly demonstrate how Omegatech Friction Weld Strapping Tools work in practice. Members of our own team show how easy it is to apply both polypropylene and polyester strapping to a range of different products. In doing so, we hope to help you better understand how they work and determine whether Omegatech products are a suitable addition to your packaging line. As leaders in our field, Kingfisher Packaging focuses on bringing our customers only the best. We offer full demonstrations in our workshop but understand that this may not be a convenient solution for every business. That’s why our videos aim to provide the same immersive and explanative experience but from the comfort of your own office. Browse through the selection of videos below, each of which has been filmed with our customers in mind. We specialise in providing premium-quality and industry-leading products to businesses of all shapes and sizes. With every product in our line up, our goal is to improve your packaging effectiveness, reduce the risk of human error and provide a professional finished product every single time. 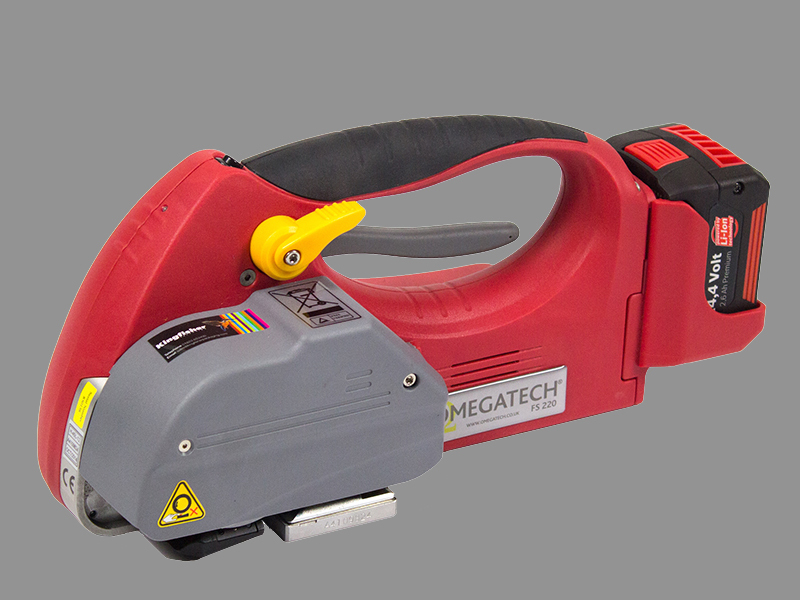 If you have further questions about the Omegatech Friction Weld Strapping Tools or any other lines in our range, contact us today for more information.